Singapore is a highly desirable Southeast Asian city-state with a booming economy, a diverse mix of cultures, English as a primary language, and some excellent working and investing options for expats looking to move abroad. Singapore has a bustling metropolitan area and beautiful beaches around the coast. Temperature generally ranges between 73°F to 89°F. And with a mix of Chinese, Malaysian, Indian, and European residents, the culture, art, and food scene in Singapore is the best kind of melting pot. According to the Global Peace Index of 2017, Singapore ranked as the 21st safest country in the world. The country scored relatively poorly in the categories of Military Expenditure, Weapons Imports, Incarceration, and Security Officer & Police. In contrast, almost all other categories showed impressive data. Singapore scored very highly in the categories of Homicide, Access to Weapons, Intensity of Internal Conflict, Violent Crime, Terrorism Impact, Neighboring Countries Relations, and Deaths from External Conflict. In order to live abroad in Singapore beyond the standard 90-day visitor visa, you will need to eventually obtain permanent residency. This can be done gradually while working under an Employment Pass or immediately with substantial investment into the country using the Global Investor Programme (GIP). As an economic powerhouse in Southeast Asia, Singapore openly welcomes foreigners willing to work abroad in the country through a wide variety of work permits. The most common is the Employment Pass, given to skilled and educated foreigners who were hired by a Singaporean company. Valid for up to 24 months, though it can be renewed (maximum 3 years). Only valid for the company that hired the permit holder. Switching employers means applying again for the S Pass. The hiring company must pay a monthly levy, meet quotas, and buy insurance for holder’s of this permit. Families cannot join Work Permit holders in Singapore. Permit holders cannot work towards permanent residency in Singapore. Female workers will have their permit cancelled if they become pregnant, and they will need government permission to marry a Singapore citizen or permanent resident. Singaporean companies hiring employees under the Asian Work Permit must provide health insurance up to $11,000 USD. They must also pay a monthly levy per employee, averaging around $300 USD. Processing for this Work Permit can take as little as 1 day, once the hiring company has been exhaustively approved by the government. Retiring in Singapore can be a bit difficult. 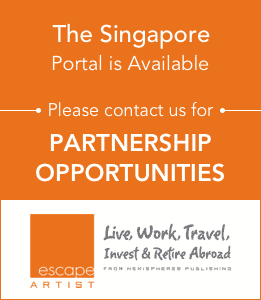 Unlike other countries in the area, Singapore does not offer an incentive-based retirement visa for expats. This means the likely route to retire abroad in the country would be through permanent residency gained either through previous employment in the country, substantial investment into the country, or marriage to a Singaporean citizen or permanent resident. For high net worth foreign investors looking to obtain immediate permanent residency in Southeast Asia, Singapore’s Global Investor Programme (GIP) is a great option. Expats can choose to invest in venture capital funds, an existing company in Singapore, or a new company in fields including alternative energy, electronics, healthcare, aerospace engineering, education, media and entertainment, nanotechnology, natural resources, and space. The minimum investment price is $2.5 million SGD ($1.85 million USD). Unmarried dependents and spouses can achieve permanent residency after the applicant’s GIP has been received. Parents of the PR holder can be added to the residency program for an additional investment price of around $220k USD per parent. If starting a business is your investment method of choice in Singapore, after submitting the initial GIP application, you will need to present a 5-year business plan of financial projections and meet these projections within your first five years of investment. Applicant owns a minimum of 30% in shares, if the company is privately owned.